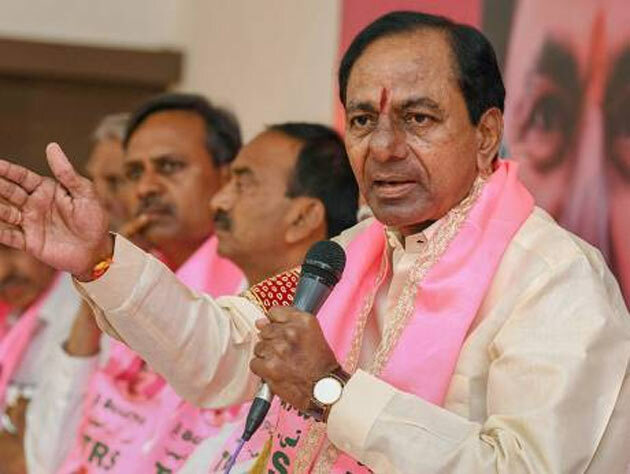 KCR announced 105 MLA Candidates of TRS for the upcoming Assembly Polls soon after dissolving the Assembly prematurely. Leaders kept lobbying for the remaining 14 Seats since September 6th. Huzurnagar Assembly Constituency represented by Uttam Kumar Reddy is one of those 14 Segment. In 2014, TRS Candidate Shankaramma (T-Martyr Srikantha Chary's Mother) had unsuccessful contested from here. TRS Leadership isn't keen to offer ticket to Shankaramma again. Shankaramma demands TRS Chief to offer ticket for either herself or NRI Appireddy. On the other hand, Minister Jagadeesh Reddy has been lobbying for Huzurnagar Ticket. In Musheerabad, Nayini Narasimha Reddy wants the ticket for his Son-in-Law. Mutha Gopal who unsuccessfully contested in the last elections is in race for the same ticket. If not Danam Nagender, K Kesava Rao's Daughter or PJR's Daughter contests from Khairatabad. Though Konda Surekha quit TRS, Rebels might irk the ruling party in Warangal East Constituency. Shasidhar Reddy is likely to contest against Uttam's Wife Padmavathi in Kodada. TRS Leadership seems to have decided not to offer Choppadandi ticket for Sitting MLA Bodige Shobha. TRS SC Cell Chief Sunke Ravi Shankar could be the TRS Candidate in this segment. Rest of the seats will be allotted for Sitting MLAs & those who are loyal to the TRS Leadership. Defections To Jana Sena Will Continue..!